The Cunill® quality is unsurpassed, as the frames are produced using superior grade precious metals and with attention to details such as the solid wood backs made of cherry mahogany finished with a gloss lacquer. Cunill frames never need polishing as they are treated with a tarnish proof finish, and the signature 2-piece luxury gift box makes for a truly impressive presentation. Personalization is a great way to make any frame a one of kind keepsake commemorating the most special occasions, and add a touch of class to any home or office. Our expert engraving service is available FREE of charge for a for a limited time. FREE ENGRAVING - Up to 10 characters personalization at no extra cost. 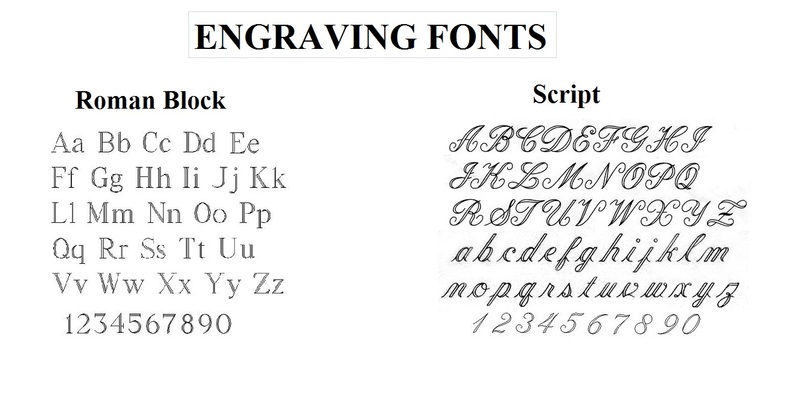 See below our available engraving fonts. Click the button below to add the CUNILL Sterling Silver Madison 4x6 Picture Frame to your wish list.